If you had a pet narwhal, you'd keep it in the tub, obviously. It'd make bath time more complicated, but also a lot more fun. If you had a pet dragon, where would you keep it? You need something dark and cave-like, and preferably a little warm. Oh, wait. What about the oven? It'd be nice and warm in there. And instead of gas or electric, your oven could be dragon-powered, the next eco-friendly fuel choice. 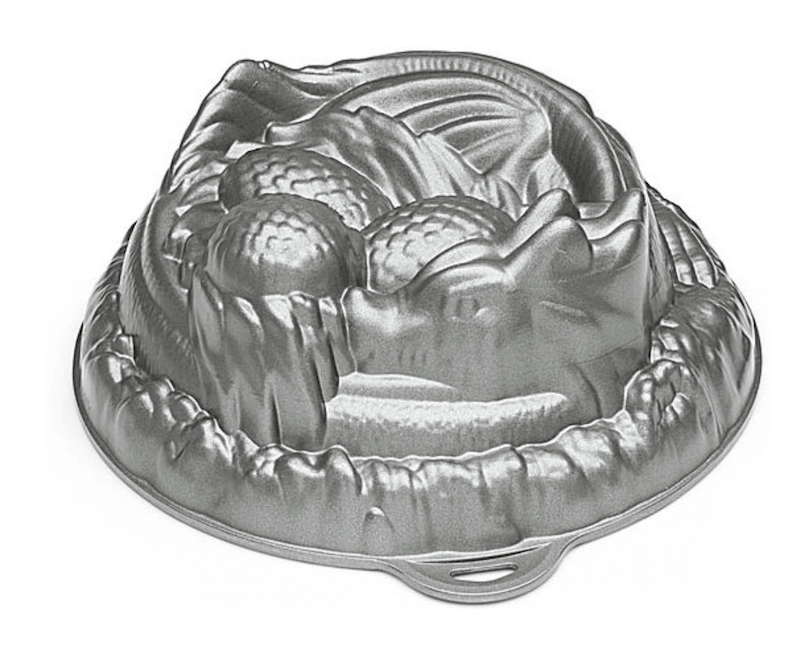 This Dragon Cake Pan is ready to hop into your oven and let your baking skills take flight. Made from cast heavy-gauge aluminum alloy, it holds just under 8 cups of batter (2 boxes of cake mix and you'll have some batter left over) when filled to about an inch from the top so the cake can rise. 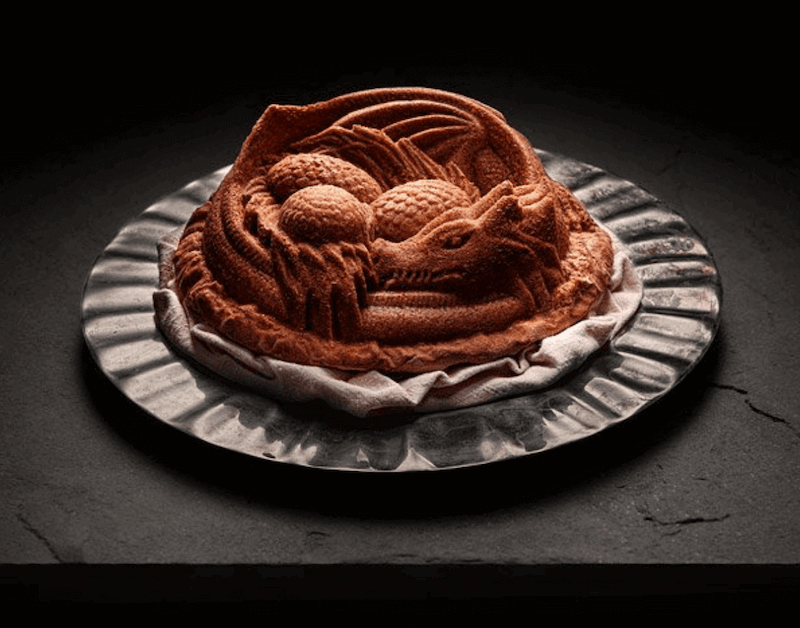 Curled around three eggs, this dragon has all sorts of good reptilian nooks and crannies for your cake mix to spread into, so be sure to grease/oil and flour the pan before baking if you want it to come out of its cave once it's baked. We might be mixing too many metaphors here. We're getting a little dizzy.